It has been said that a dog is man’s best friend. If that is true, then it should follow that a puppy would be a young boy’s best friend. I am convinced that the best scenario is when a young boy adopts a puppy and they broth grow up together. They are companions, pals, and playmates. I can testify that this can be the case. 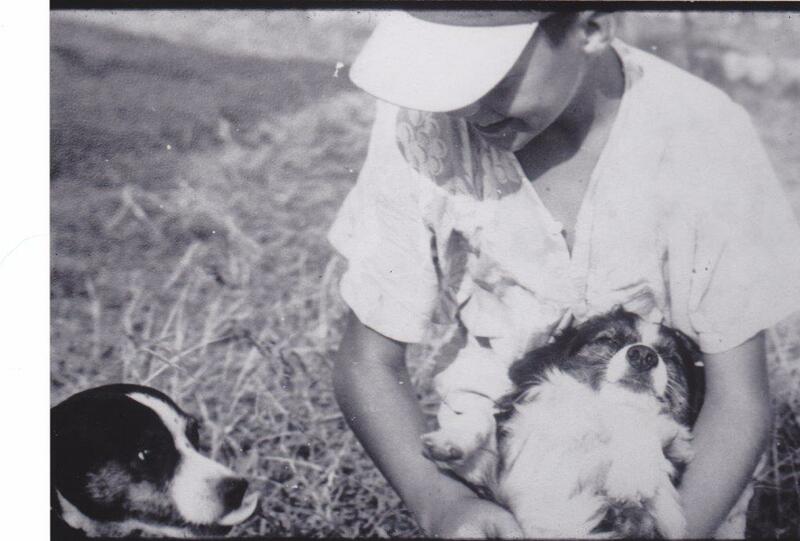 In the early 1940s, as an eight-year-old boy, I was presented by the good Lord with an unplanned puppy. 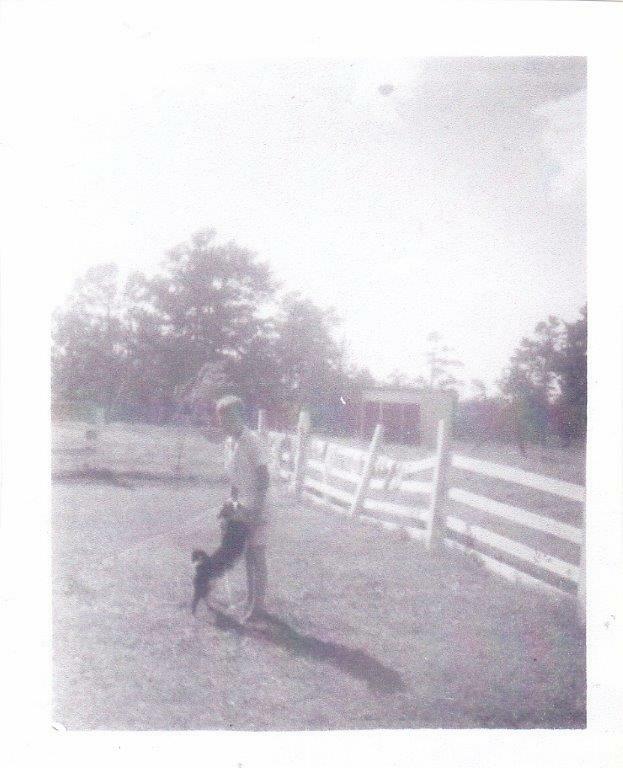 My father, Cecil, was an avid fox hunter, and he always had several fox hounds in a pen behind our house. I loved those dogs, but they were in reality my fathers, and not mine. Somehow, it is different when the dog is yours to love, feed, and care for. Late one summer afternoon strange noises wafted into the house seemingly from underneath the floor. They sounded much like puppies’ cries which got more frequent as several days passed. My dad finally felt it necessary to crawl under our house to check out the noises. He discovered a stray dog, a female that had given birth to two puppies. He was given a stern warning by the mother dog to back off, which he did. The little black and white dog was a stranger to us but had obviously adopted our house, and thus our family, to assist her in the rearing of her very cute black and white puppies. She was quite protective for several weeks and would not allow any intruders near her puppies. Finally, the day came when the puppies ventured outside and I got my first glimpse of them, and what beautiful puppies they were. They ventured out more and more, and a bond was developing. Suddenly, tragedy struck. The mother dog was struck and killed by an automobile on the road in front of our house. Now, we had two orphaned puppies on our hands. They were small dogs; both marked identically, the only difference being that one was short-haired and the other with long hair. Both were mostly black with white markings. I adopted the short-haired puppy and named him “Slick”. My mother fell for the long-haired one and she named it “Fuzz”. We became attached to our new pets and they seemed very comfortable with us and their new home. Fuzz followed my mother around the house and yard, while Slick partnered with me. He was my friend and buddy for a long time. He greeted me every day when I got home from school. He romped on my bed with me, and went squirrel hunting and fishing at every opportunity. He loved the water and, against my wishes, he would jump into the pond when I fished. I was sure that he was scaring off the fish by playing around in the water. Several fun-filled years passed without incident. Then our neighbor to the north brought home a large Chinese Chow dog. He was kept in their back yard perhaps chained to a tree. Slick was mostly an outside dog and would explore the neighborhood when not playing with me. One day he apparently wandered up the road and had a confrontation with the large Chow dog. Being a much smaller dog, Slick came out on the losing end of the fight. When I returned home from school that afternoon, I found Slick lying in our backyard with numerous bad bite wounds all over his body. I gingerly picked him up in my arms, took him down to the crib, and placed him on a blanket. Then I ran to the telephone and called my dad at his office. Dad had always doctored his fox hounds and I was confident that he could save my dog. I recall telling dad “Slick is either unconscious or dead.” My dad came home immediately and examined my buddy. He had already gone to that large fire hydrant in the sky. We buried him in a corner of the dog pen. Thus ended a partnership between a boy and his dog. Several years later I left home for college. Fuzz seemed to miss his brother for a while but continued being my mother’s favorite human. Eventually Fuzz suffered the same fate as his mother, being run over by a car on the highway. The era of the little black dogs that came our way uninvited was now ended. I did not own a dog again until after I was married with two children. We adopted a white poodle that we named Curley, who was actually my children’s dog. He occupied a place in our family for about fifteen years. But, like one’s first love, it was not possible to replace the little black slick-haired dog in my heart. After all, we had grown up together.